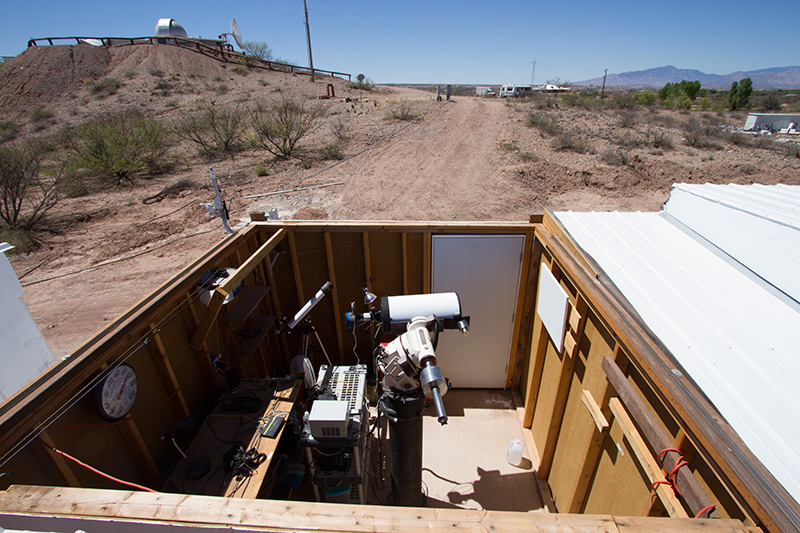 We offer low cost Observatory Hosting for your telescope setup to image the night sky from the dark skies in southeastern Arizona just east of Benson, AZ. We have dark skies that are normally above the 21 sky quality meter setting and good seeing conditions. We have one person who does nothing but science and is getting good data from this site. The observatory includes a private 10x10 foot building, high speed Internet, electrical power, and a web relay roof control that can be operated from a web browser. There is someone on site in case something goes wrong during the nighttime imaging. There is a locked gate and tight security on the property. There is also a weather page on the Web site that is updated often.